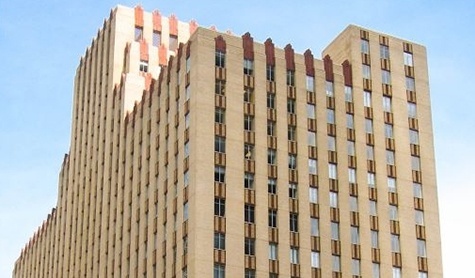 The Houston office of Stone Pigman is at 1001 McKinney Street in the downtown Central Business District. The landmark Art Deco building was constructed in 1947 and was designed by Alfred C. Finn. Start out going west on N Terminal Rd toward John F Kennedy Blvd. Turn slight left onto John F Kennedy Blvd. Merge onto TX-8 E via the ramp on the left toward US-59. Merge onto US-59 S toward Houston. Merge onto I-10 W/US-90 W toward San Antonio. Take EXIT 769B toward San Jacinto St/Main St. Turn slight right onto Shea St. Turn right onto Walker St. Turn left onto Milam St.
Take the 1st left onto McKinney St.
1001 McKinney St. is on the left side of the street.